Woman claims Incognito harassed her at Dolphins golf tournament in 2012. Suspended Miami Dolphin Richie Incognito harassed a woman at a charity golf tournament in Florida last year, using a golf club to touch her privates and emptying water in her face, according to a recently released police report. According to the Aventura Police report, Incognito was playing in the Fins Weekend Golf Tournament at the Turnberry Resort and Club on May 18, 2012 when the incident happened. 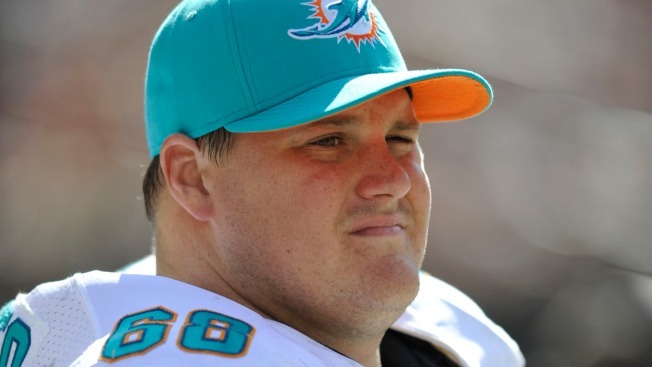 The 34-year-old Miami Shores woman was working as a volunteer hole monitor for the Miami Dolphins Organization at the tournament when she was approached by Incognito, who "had been drinking and was acting very inappropriate towards her," the report said. Incognito then used his golf club to touch her privates and knock a pair of sunglasses off her head, the report said. After that, he leaned up against her buttocks with his private parts saying "Let it rain! Let it rain!" the report said. He finished by emptying a water bottle in her face, the report said. Other people witnessed the incident but did nothing to stop it, the report said. The woman notified her supervisor, who told team security, who said they would take care of the situation, the report said. According to the report, former Dolphin Nate Moore heard of the incident and apologized to the woman, telling her it would be taken care of and handled. When the woman believed nothing was being done by the team, she went to Aventura Police and filed the report. "She felt like he didn't care and thought the whole incident was in fun and games," the report said. "Other people apologized for him, but not him." Dolphins officials didn't immediately return calls for comment Friday. Aventura Police officials said the woman had reported the incident 10 hours after it happened and that it was a misdemeanor so no arrest was made. Police advised her to contact the State Attorney's Office if she wanted to further pursue the matter. Incognito, 30, was suspended Sunday for conduct detrimental to the team, related to the treatment of teammate Jonathan Martin, who abruptly left the team last month. Martin's attorney released a letter Thursday saying Martin was harassed and taunted by teammates throughout his time with the Dolphins.